As America's prison populations swell, as mental heath services for inmates are withdrawn, and as the range of offenses for which inmates can be sent to inhumane solitary confinement soars, the prison system has hit on an obvious solution: just lock two angry prisoners, possibly with untreated mental illnesses, in a cell so small they have to take turns standing up, for 23 hours a day. The rates of murder in these doubled "solitary" cells has skyrocketed. The families of the dead inmates are usually denied justice, though sometimes they can find civil rights lawyers to represent them. One notorious site for "doubling" is Menard Correctional Center in southern Illinois, but 80% of the federal inmates in solitary have a cellmate, in a lockbox designed to barely house one person, so small you can't even do pushups in it -- cells so small inmates get bedsores from living in them without being able to move around. These prisoners are expected to serve years, even decades, in these conditions. “I’ve heard it described as a powder keg,” says Eddie Caumiant, the union spokesman for Menard’s correctional officers. “An accident waiting to happen.”The cells are more cramped, the inmates’ movements, more limited. There’s the unrelenting pressure of living with another, potentially mentally ill or dangerous person — a pressure that can fester into paranoia and rage. “You never know what to expect from a crazy person because there are so many types of crazy,” Daniel Delaney wrote in a letter to The Marshall Project. Delaney is currently at ADX Florence in Colorado for killing his cellmate in solitary in 2010 at another federal prison. “A lot of crazy people don’t shower or clean up after themselves. Some make funny noises. Some just tear out pages from books and turn ‘em into little pieces of paper confetti. 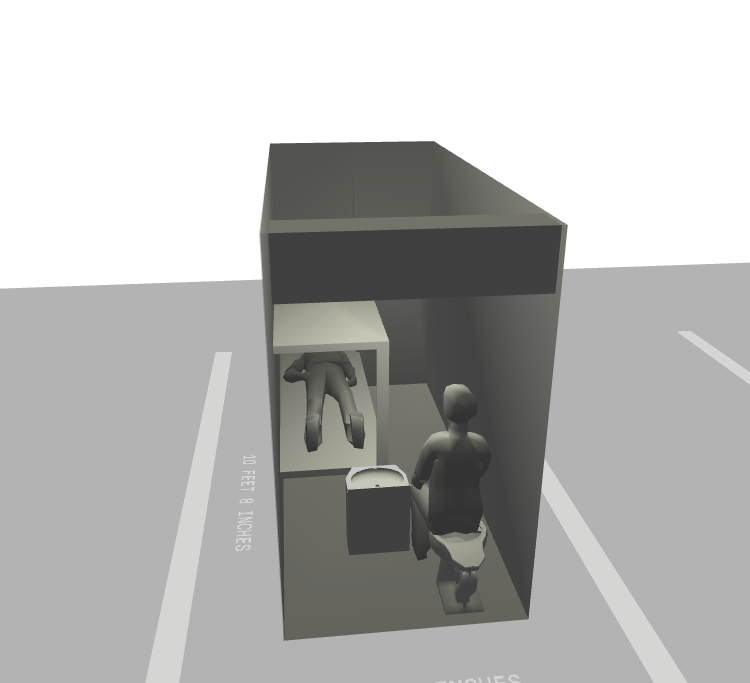 And of course, some crazy people are violent.” In Menard, double-celled prisoners are placed in rooms that are a foot-and-a-half narrower than those in general population (too narrow, one inmate has said, to do push-ups). Gerard Schultz, who was double celled at Menard for a cumulative eight months, explained in a letter that he had to create a schedule with his cellie to determine when someone could stand up. Alan Mills, the executive director of the Uptown People’s Law Center, a Chicago legal nonprofit, reported meeting two double-celled prisoners who had developed bedsores from lack of movement.